The Drug Market Intervention (DMI) effectively eliminates overt drug markets and improves life for residents of the surrounding communities. Overt drug markets operate in public, causing chaos, violence, and enormous damage to communities. DMI was first piloted in 2004 in High Point, NC. The strategy identifies particular drug markets, identifies street-level dealers, and arrests violent offenders. Law enforcement develops prosecutable drug cases for nonviolent dealers but suspends these unless a dealer continues dealing. This allows law enforcement to put dealers on notice that any future dealing will result in certain, immediate sanctions. The DMI partnership brings together dealers, their families, law enforcement, social service providers, and community leaders for a call-in meeting that makes clear that selling drugs openly must stop and the market is closed. The partnership tells dealers clearly and directly that the community cares about them but rejects their behavior, that help is available, and that continued dealing will result in immediate sanctions through the activation of existing cases. Dozens of cities have implemented DMI with reductions in violent and drug-related crime, minimized use of law enforcement, strong endorsement from the community, and improved relationships between law enforcement and residents. The National Network produced Drug Market Intervention: An Implementation Guide, published by COPS Office in 2015, to provide a practical tool for stakeholders seeking to implement DMI in their jurisdictions. This practice brief by David Kennedy provides concrete guidance for addressing “norms and narratives” held by offenders and potential offenders, communities, and law enforcement that have been found to have tremendous impact on crime and crime prevention, how each party views the others and their actions, and their willingness to work together. This PowerPoint presentation, by Dr. Nicholas Corsaro et al., provides an overview of the focused-deterrence model, how the National Network’s drug market strategy fits into this model, and offers details of an evaluation of the drug market intervention implemented in Rockford, IL and of other related work. This implementation and lessons-learned guide is organized by the nine basic steps for implementing the Drug Market Intervention Initiative (see Basic Implementation Guide). Within each step there are suggestions for implementing the step as well as common questions and issues to discuss with possible responses to the questions. These suggestions were culled from the initial rounds of DMI trainings where officials from High Point, Raleigh, Winston-Salem, Providence, Rockford, Hempstead and Nashville served as faculty and offered the advice described within this document. This brief summary outlines Seattle’s initiative to address street level drug dealing in residential neighborhoods. Used as a tool to inform neighborhood residents and members of the public about the goals of the initiative, it explains how the effort differs from traditional police/prosecutor undercover narcotics operations. This article is based on remarks delivered by National Network co-chair David Kennedy at the 2008 National Institute of Justice conference, setting out the key elements of the High Point drug market intervention. It also provides information on how this model evolved out of the original Ceasefire intervention in Boston, which combined problem-oriented policing with collaboration between law enforcement and community stakeholders. This PowerPoint presentation, by Robert Nash, Commander of the East Precinct of the Metropolitan Nashville Police Department, provides an overview of the overt drug market strategy as implemented in the city’s North 2nd Street neighborhood. A detailed process and impact assessment of the Nashville strategy by Corsaro, Brunson & McGarell is forthcoming. Corsaro, N., Hunt, E.D., Kroovand Hipple, N., McGarrell, E. (2012). The Impact of Drug Market Pulling Levers Policing on Neighborhood Violence. Criminology & Public Policy. Vol. 11, Issue 2. Kennedy, D. M. (2009, March). Drugs, Race and Common Ground: Reflections on the High Point Intervention.National Institute of Justice Journal, No. 262. Meares, T. L.(2009). The Legitimacy of Police Among Young African-American Men. Faculty Scholarship Series. Paper 528. Today’s opioid markets are different from the open-air drug markets that were subject to special attention in past DMI implementations; they are, in particular, covert rather than overt. People are not, for the most part, standing out on street corners selling opioids or operating flagrant drug houses. The role that was played by geographic location in overt markets is instead played by social networks of dealers and addicts. But, within those networks, potentially similar elements operate: supply, demand, and the need for the successful functioning of markets. In principle, as long as the structure of an opioid market can be analyzed and its key dynamics identified, the logic of market disruption might be applicable. In considering a “covert market” DMI, the two most pressing practical questions seem to be: (1) Is it possible to identify the shape of the market and, especially, the key dealers in it? and (2) Is the number of key dealers manageably small, and can we imagine a practical and potentially meaningful intervention? In a companion paper analyzing the findings of the systematic review, Professor Robin Engel put a finer tip on their conclusion: "Focused deterrence strategies save lives." "The High Point Police Department held a community forum Thursday night so Chief Kenneth Shultz could explain how the department hopes to avoid the issues that others have faced." Following the tragic death of a high school senior in Rutland, Vermont in 2012, "city officials, police and neighborhood activists came together to create a grassroots organization called Project VISION" to combat the city's heroin problem. The group's membership now stands at nearly 300 people ranging from local officials, law enforcement, nonprofits, service organizations, state agencies, and church groups. Project Vision in Vermont has been working to effectively address the heroin epidemic sweeping the state. The NNSC has provided informal advising to officials in Rutland, VT based on our Drug Market Intervention and have been pleased to see it being successfully mapped to the heroin crisis that is affecting Vermont and many other areas across the country. Commander Scott Tucker, who plays an integral role in Project Vision wrote a piece outlining the early success that the initiative has created. National Network Director David Kennedy appeared on a radio program to discuss the strategy being used in Rutland, VT to combat the city's heroin problem. 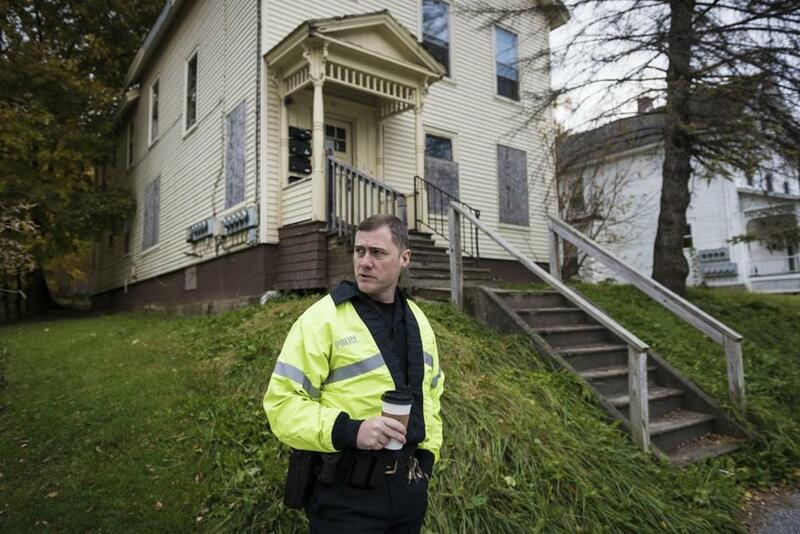 "In Rutland, the number of crimes related to drug use is plummeting, hundreds of people are receiving addiction treatment, and notorious drug dens are being razed and replaced by parks. It’s an aggressive counterattack, called Project Vision, that has enlisted residents and community leaders in a sweeping collaboration that is gaining national attention." David Kennedy spoke on this panel, entitled Mass Incarceration in America: Assessing the Costs & Human Impacts, at the historic Bipartisan Summit for Criminal Justice Reform in March.For more information, visit http://www.bipartisansummit.org/. The brand new guide to the Drug Market Intervention (DMI), published by the COPS Office at DOJ, provides practical information intended to help law enforcement, community, and social services partners prepare and successfully execute DMI to close overt drug markets.